Staff helpful and considerate. Easy to find . Local eateries just up the road well walkable. Good area to walk the dog. There are a couple of nearby restaurant/bars that are decent and the breakfast was good. 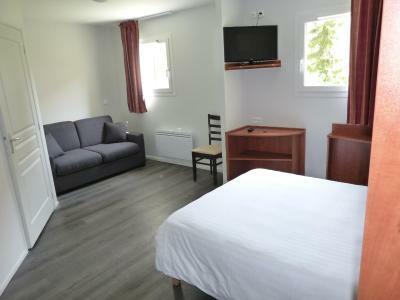 This was our first day stop in France on an extended driving vacation so I chose it more for convenience that amenities. 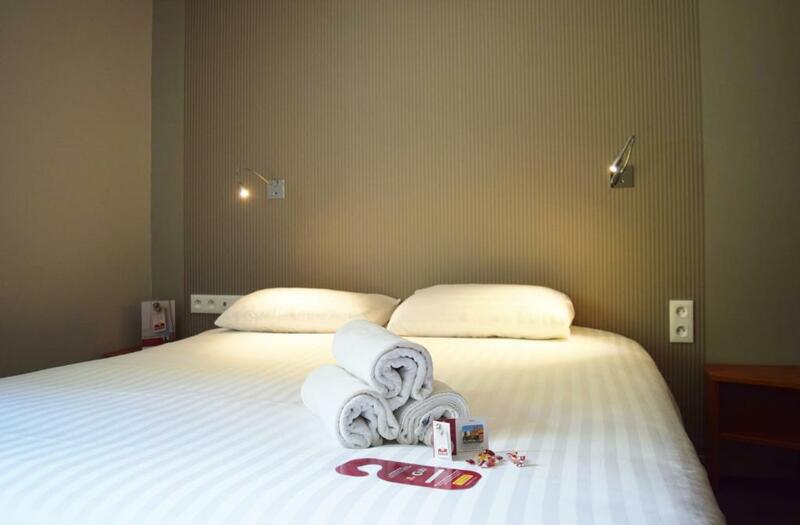 Easy to find, comfortable bed with clean linen. Reasonable price with parking available. Good breakfast and helpful staff. 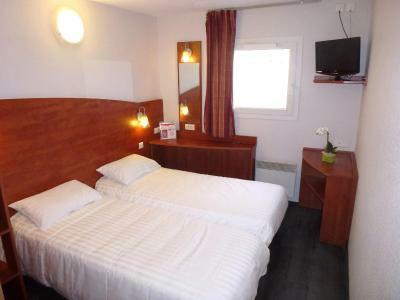 Excellent for a one night stop while travelling through France, either to or from Calais. Perfect for a motorcycle stop. Secured parking lot on site. Small but clean room. Great breakfast. 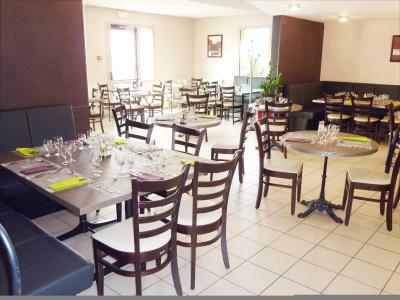 Located outside town, but has a couple restaurant within walking distance. 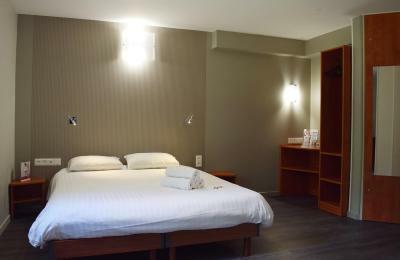 Clean room, comfy beds, very good breakfast, secure parking, free wifi, plenty of restaurants nearby - particularly at the HyperU shopping complex. Ideal stopover on the way back from the Alps with good motorway access. Good breakfast. Friendly welcome. Bathroom clean. No road noise despite proximity to main roads. Beds were clean and comfortable. The Courtepaille Restaurant almost literally next door offers good value meals with no need to get into a car again to find somewhere. Friendly staff. Bed was surprisingly very comfortable and the bathroom was clean. I would definety recommend for a stopover. The food was good and it was nice that there was a restaurant on site because it was on a very industrial area. The bed linen was excellent. It was nice that we did not have to pay to park the car. One of our top picks in Reims.Just 3.1 miles from the city center and its cathedral, Best Hotel Reims La Pompelle is located near the Industrial Park Pompelle-Farman and Cormontreuil, 1 minute from Reims Exhibition Center and 5 minutes from some of the most famous Champagne cellars in France (Veuve Clicquot, Pommery, Taittinger, Ruinart). 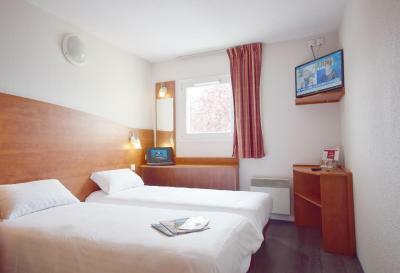 The guestrooms are equipped with private bathrooms and offer flat-screen TV, telephone and free WiFi access. Ironing equipment is available at the reception desk upon request. An all-you-can-eat buffet breakfast is served every morning in the communal lounge and you can enjoy a drink at the bar. 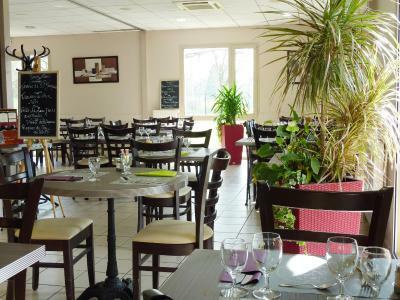 The property offers a traditional restaurant serving French and international cuisine. Other facilities include 12 meeting rooms. 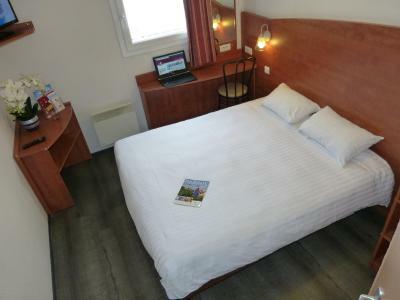 Just 10 minutes from central station and TGV Reims Champagne Ardenne, this Best Hotel is ideal for holidays and business trips. A free fenced parking is available on-site. 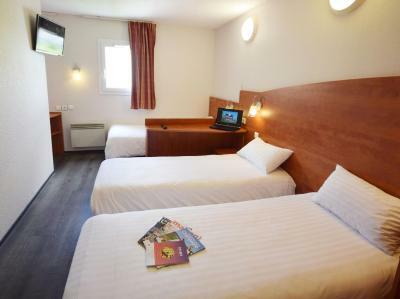 When would you like to stay at Best Hotel Reims La Pompelle? 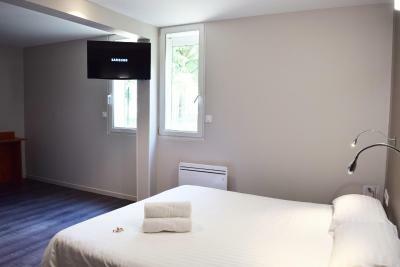 This room features a desk, an LCD TV and a private bathroom with a shower. Free Wi-fi access and a telephone are also provided. This room features a desk, a TV and a private bathroom with a shower. These 2 interconnecting rooms have a private bathroom with a shower. These rooms feature a flat-screen TV and private bathroom fitted with a shower and toilet. They are located side by side. House Rules Best Hotel Reims La Pompelle takes special requests – add in the next step! Best Hotel Reims La Pompelle accepts these cards and reserves the right to temporarily hold an amount prior to arrival. If you expect to arrive outside of these hours, please contact the property in advance. 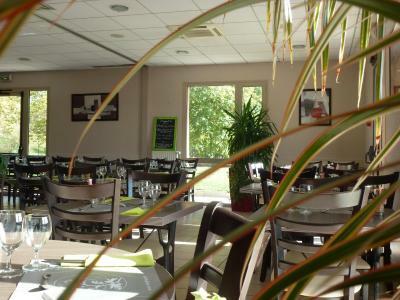 The restaurant is open for lunch and dinner from Monday to Friday lunchtime. It is closed during the weekend, except at Sunday lunchtime. Please note that breakfast is served from 07:00 to 09:30 in the week and from 07:00 to 10:00 on Saturdays and 07:00 to 09:30 on Sundays. Please note that special conditions may apply when booking 5 rooms or more. 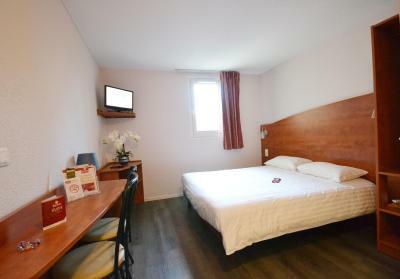 Please inform Best Hotel Reims La Pompelle of your expected arrival time in advance. You can use the Special Requests box when booking, or contact the property directly using the contact details in your confirmation. Restaurant was closed the evening we were there but there’s a good grill in walking distance. Good over night stop off on the way to Italy. The walls were very thin and my wife and daughter were woken frequently by noisy neighbors. Room was small and sound proofing virtually nil. It was noisy because they were repairing other room. Charged full price for 5 breakfasts. 2 Adults and 3 children aged 2yrs 7yrs and 11 yrs. 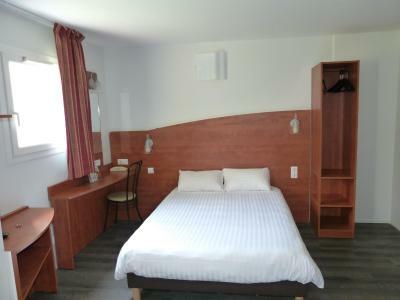 Even for a budget hotel, the room was a bit tired. Noise from neighbouring rooms was quite loud. Unable to put heating on/up. Lighting circuit erratic - had to try several times to get lights on/off. The horrendous smell of sewage in reception and dining hall. Pillows could be better. Although it was fine in the room, the smell in the building was pretty bad.